As we proceed with looking at what is known about Thomas, and Margaret, we'll see lots of different views. These all need to be examined, during which time a collection of unknowns will be gathered. For the most part, the ensuing bibliography will include pointers to on-line publications, where possible. 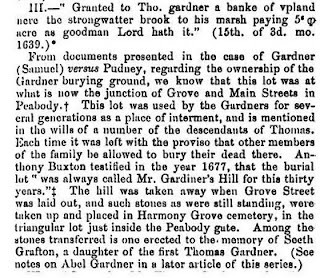 We must all be grateful for the organization of Gardner information accomplished by Frank A. Gardner, MD who spent many years on the subject of Thomas' descendants: "Thomas Gardner Planter (Cape Ann 1623-1625, Salem, 1626-1674) and some of his descendants" printed by Higginson Genealogical Books, 1907 (via Google Books). Dr Frank's work will provide the basis for an updated view. As well, there will be stories from the period. One example would be William Folger's remarks about the sons of Thomas who migrated to Nantucket. These can be found in "Early Settlers of Nantucket Their Associates and Descendants" compiled by Lydia S. Hinchman and printed by J.B. Lippincott Company, 1896 (via Google Books), see Chapter X (image). Now, in terms of unwindings, there was an article published about the Jamaica Plain (essentially Roxbury) of Boston that we need to look at closely and discuss. The article is on the Jamaica Plain Historical Society site and is dated 1999. 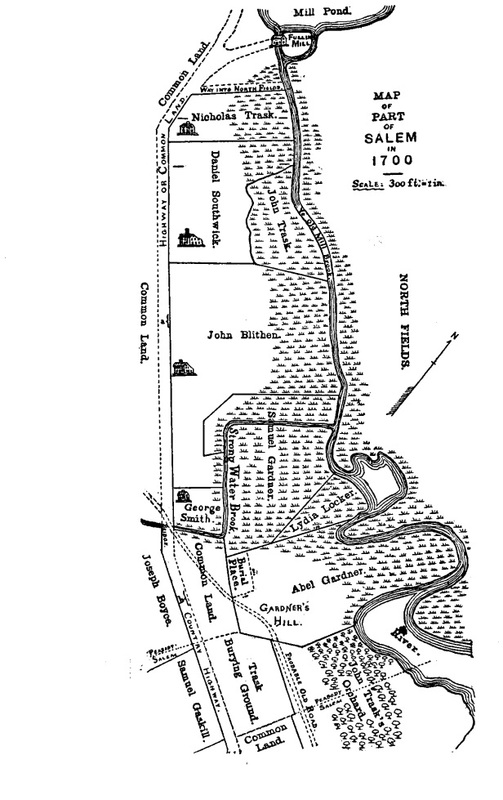 What needs attention is that Thomas of Salem is mentioned, as father of Peter, and his brother, Thomas who settled in Roxbury in the early 1670s. 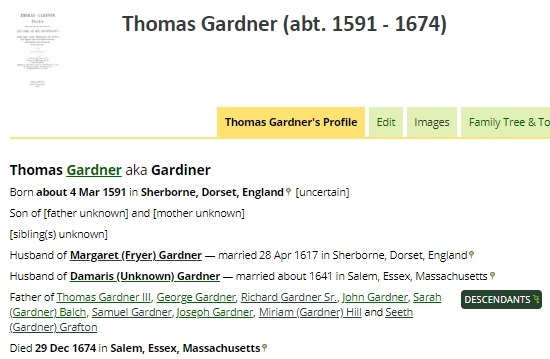 The article mentions Joseph Gardner (to be identified) and John Lowell Gardner who is a descendant of Thomas Gardner of Salem. Now, 'unwinding' is used as a metaphor for separability. If there is no separation, then the unwinding cannot work. How can we know? 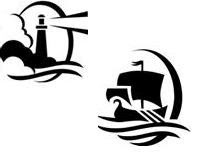 Several personal genealogical sites have the Salem and the Roxbury families intertwined. Was Dr Frank correct in his unwinding? We can expect that we'll see all sorts of questions arise as we look at these issues. How many there will be, and how many of these we can answer, remains to be determined. As mentioned earlier, perhaps, there will be DNA-related studies done, at some point, to determine relationships. 07/11/2015 -- Point to Pg. 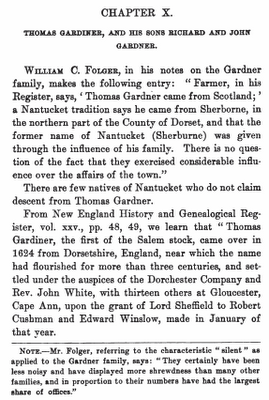 79, of Early Settlers of Nantucket ..., for quote on Gardners. 10/03/2014 -- Recent find of a marriage record for Thomas Gardner and Margaret Friar in the records of Sherborne. 10/22/2010 -- I got the Folger reference from Sandra (Whalen) Bauer who is a descendant of William Folger.